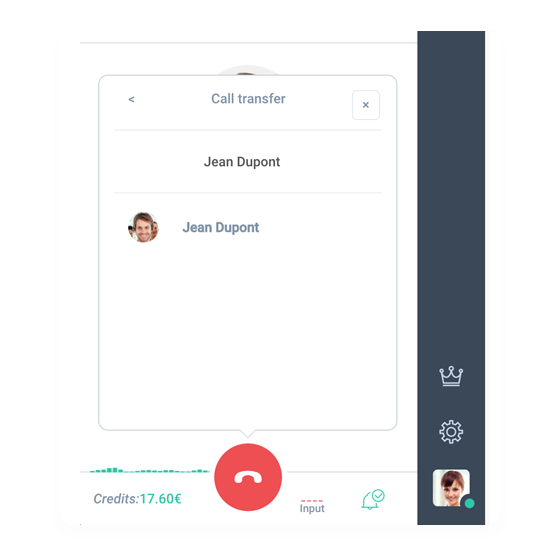 With RingOver, you have the possibility of transferring a call in progress to another number without interrupting the conversation. 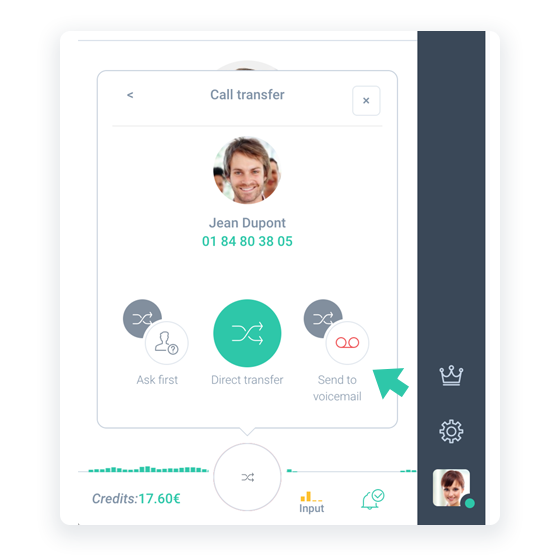 During a call, click on the call transfer icon. 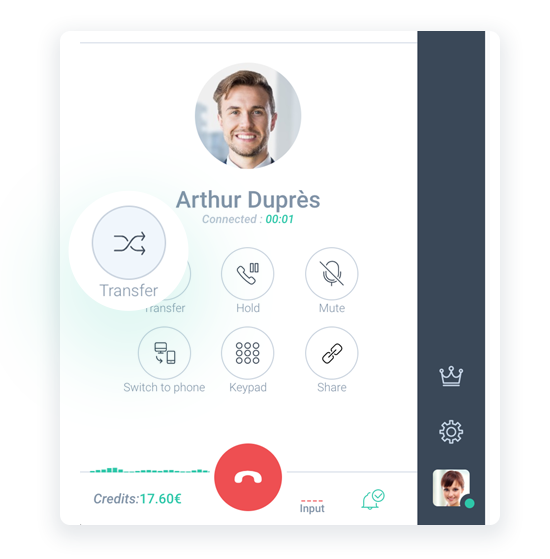 Enter the name of the person you want to transfer the call to. 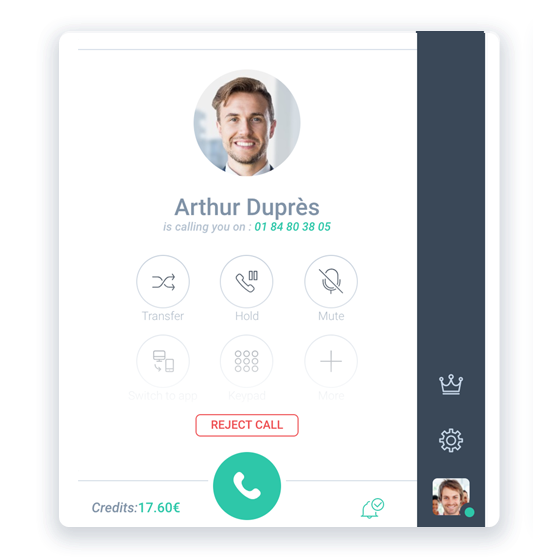 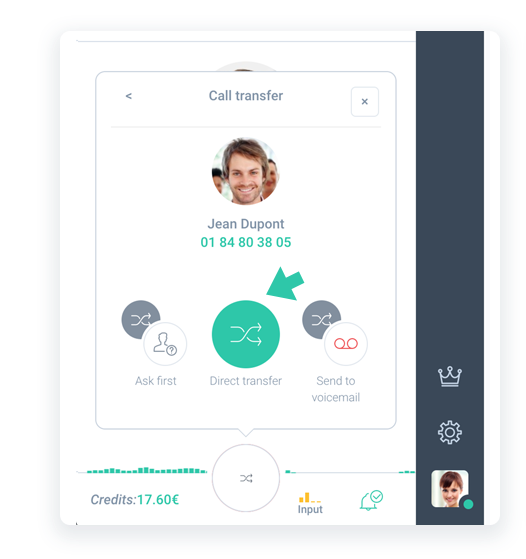 Choose the type of transfer you want to make: “Direct transfer,” “Ask first,” or “Send to voicemail.” Your call will be transferred according to the method chosen and the call will end automatically. - Direct transfer: with one click, you may transfer a call in progress to a team member. 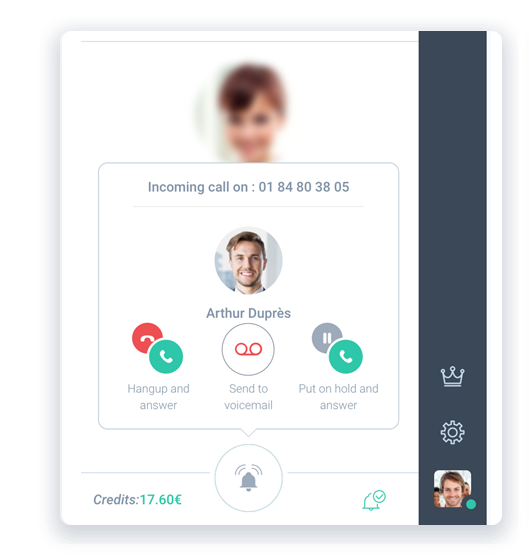 You cannot retrieve the call in case of no answer. 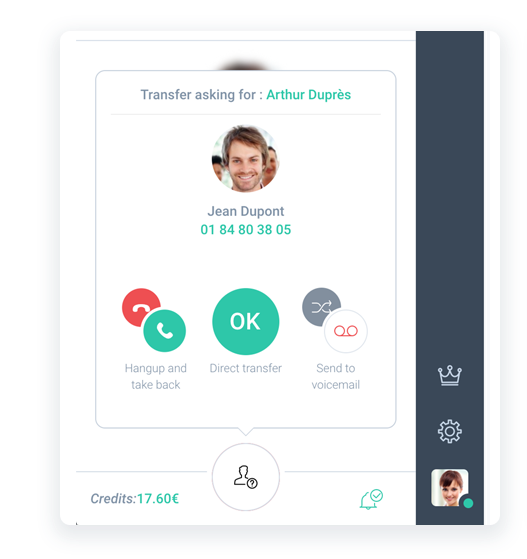 - Transfer with confirmation: contact your team member to verify their availability and provide information before transferring the call. 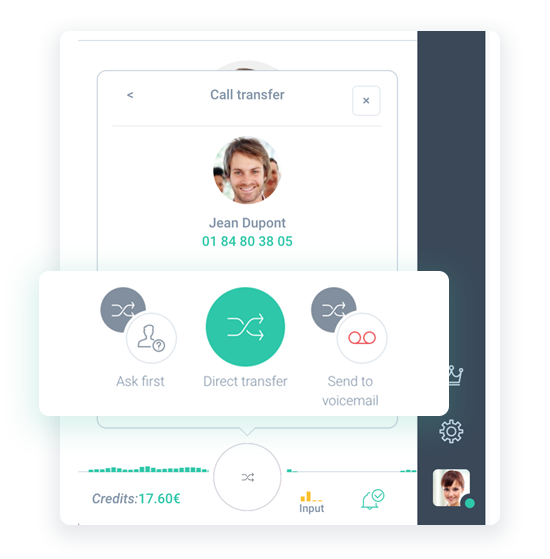 - Transfer to voicemail: if your team member is unavailable or if you know that they do not wish to be disturbed, transfer the call to their voicemail so that your correspondent may leave them a message.